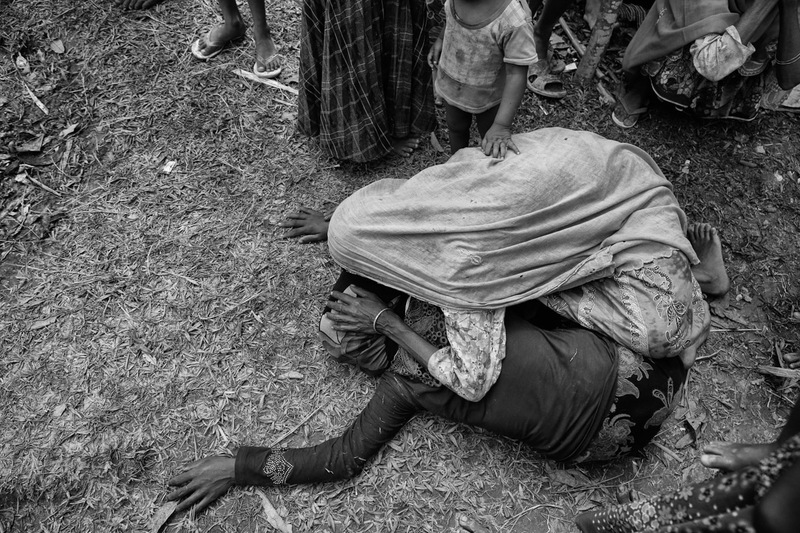 Rohingya people, one of the persecuted minorities in the world, recently become victim of ethnic cleansing mayhem led by Myanmar’s armed forces from last several decades. 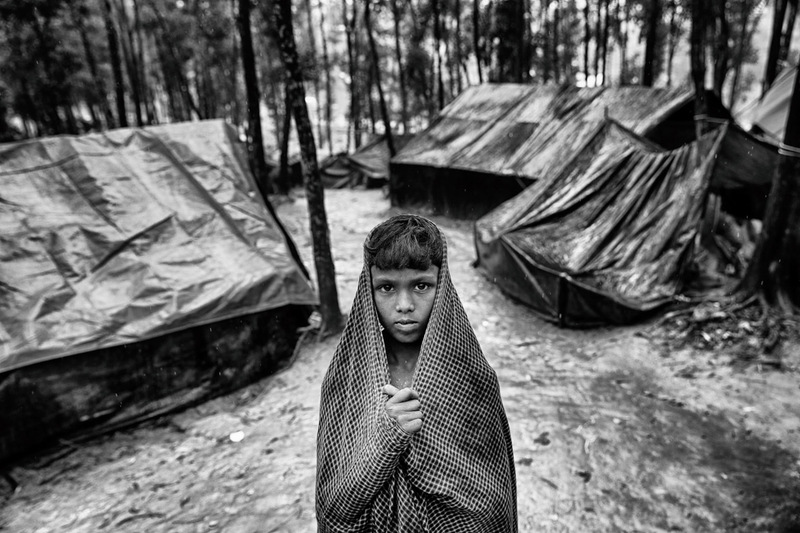 Rohingyas are a Muslim minority in the northern Rakhine state of a Myanmar. But to oppose the evidence of their origin, official statement is that Rohingyas are considered to be illegal immigrants from Bangladesh. 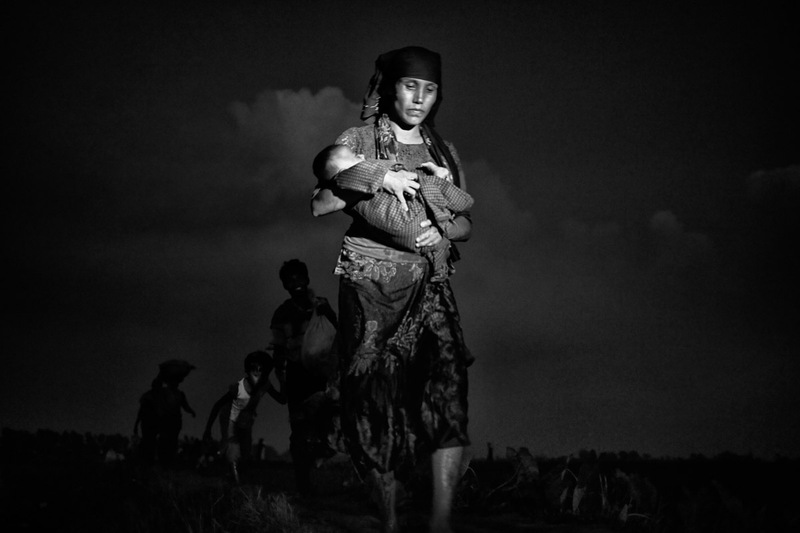 In Myanmar, there are 1.3 million Rohingyas where only 40000 have citizenship. 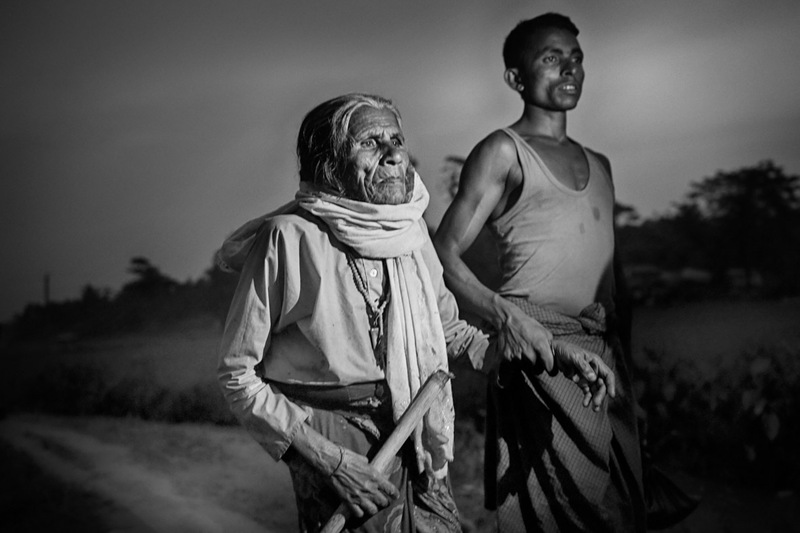 A 1982 citizenship law promulgates that Rohingyas can avail citizenship if only can they provide evidence in support of the existence of their ancestors in the region prior to 1832. However, this has become difficult to do so because government sponsored forces have aggravated the matter by destroying their villages and historical existence, which were one of the crude documentations. Moreover, the crisis also represents the issue of nationalism where the Buddhist nationalists speculate that, Islam will affect the tranquility and concord of Myanmar. The situation almost turned into genocide since 25th of August this year. 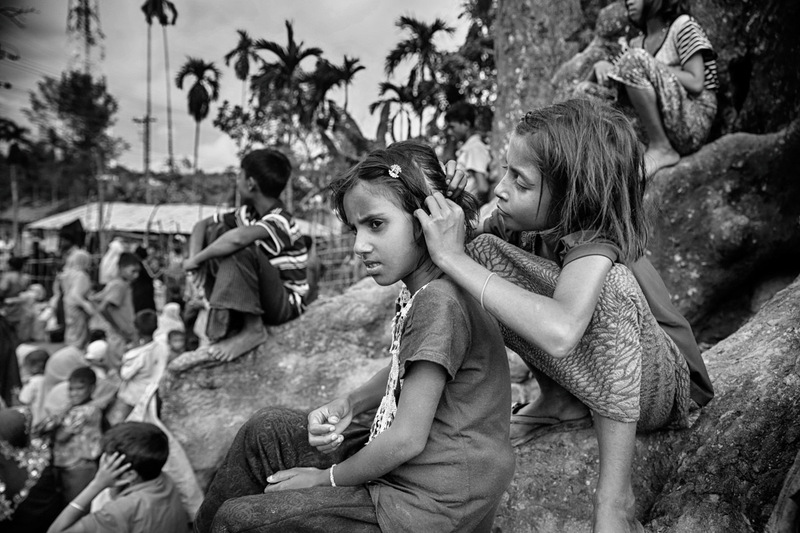 As a result, nearly a million people of this ethnic muslim community fled to Bangladesh to take shelter from the chaotic area from the Rakhain state of Mayanmar. 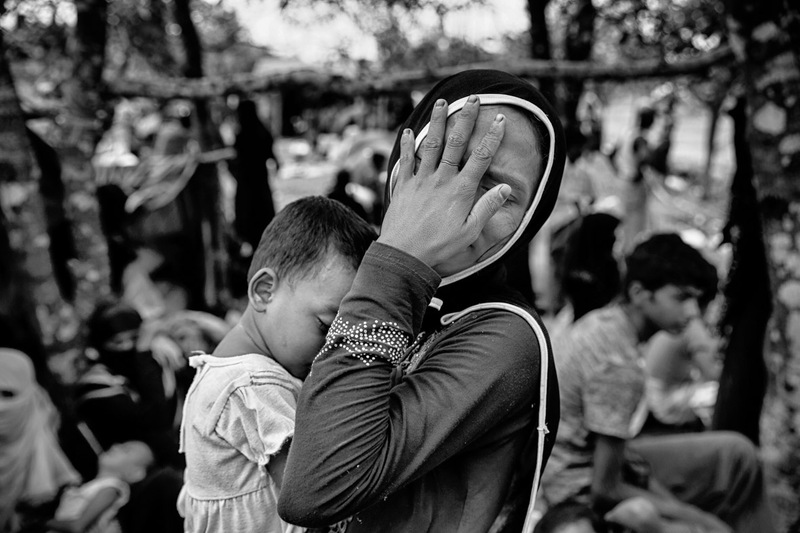 Members of Myanmar’s Army and the police have slaughtered hundreds of men, women and children, gang-raped women and girls in Myanmar during the genocidal situation. 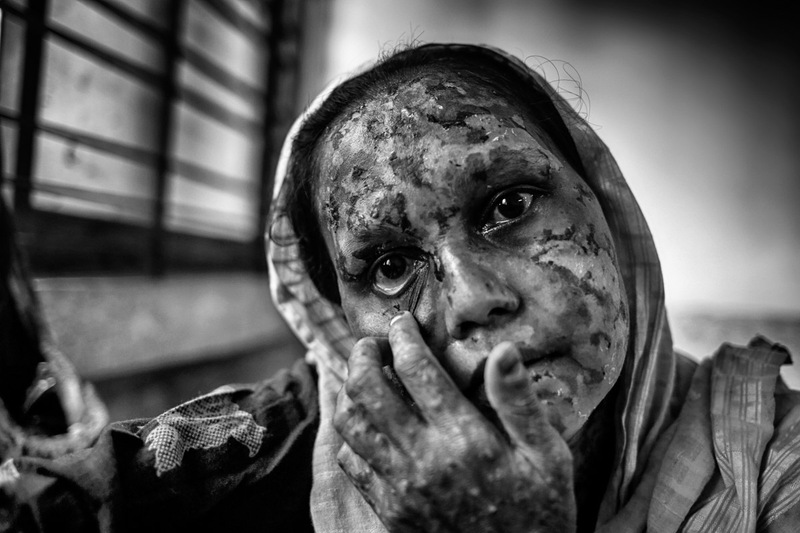 The assets of the Rohingya people were looted and their houses were burnt down. 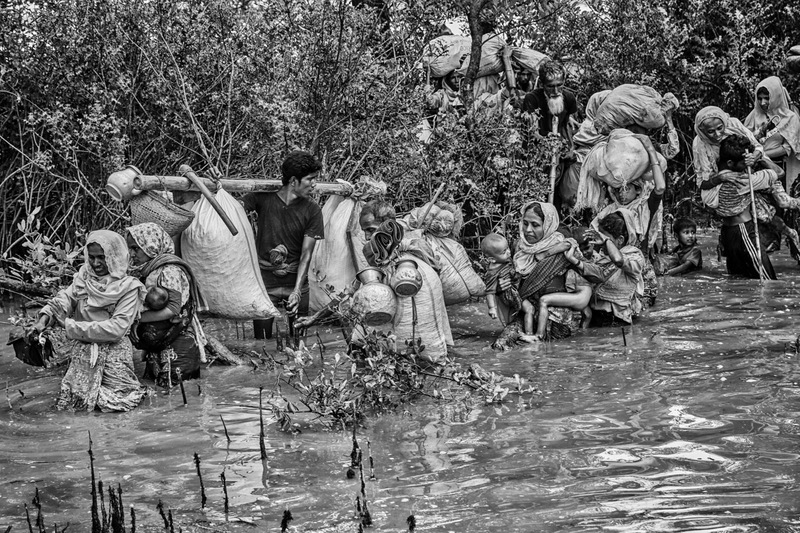 The Military forces forced Rohingya Muslims to abandon their homes and fled to Bangladesh very few things they could carry with them. Many of the elderly people and children lost their family members. 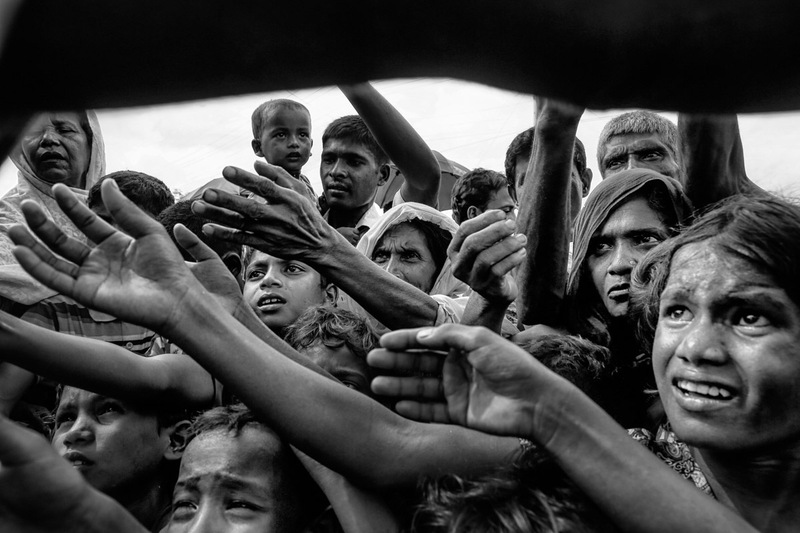 The life of a Rohingya can be significantly flagged into two paradigms – one before fleeing and the one after. Both include enormous struggle for living. Naturally, they cannot get a facilitating lifestyle in a country which is not their homeland. 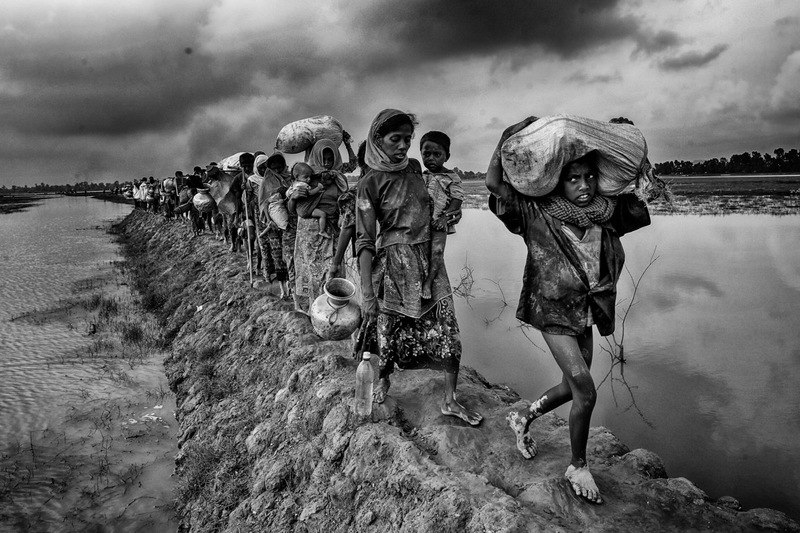 An estimated 655,000 to 700,000 Rohingya people have fled to Bangladesh. However, the number has increased to nine hundred thousand after the starting of the influx. 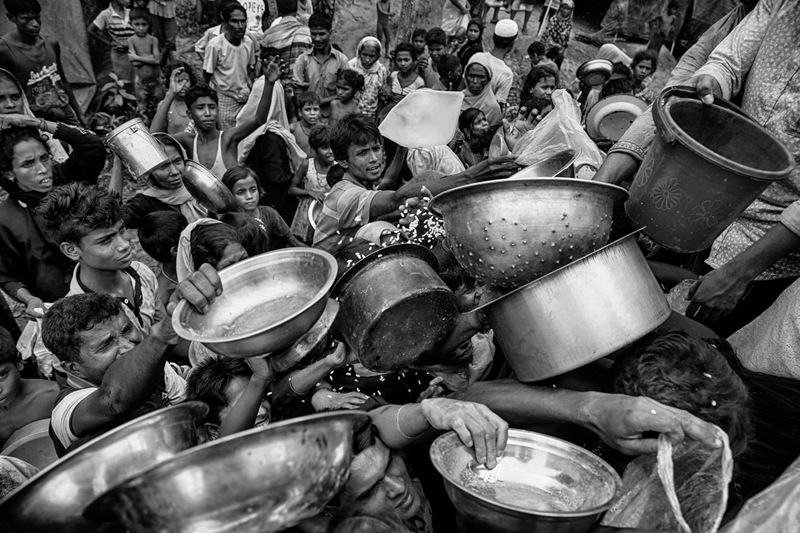 Rohingya people are scarcely getting basic needs. People are living with little food, medicine and other needs. 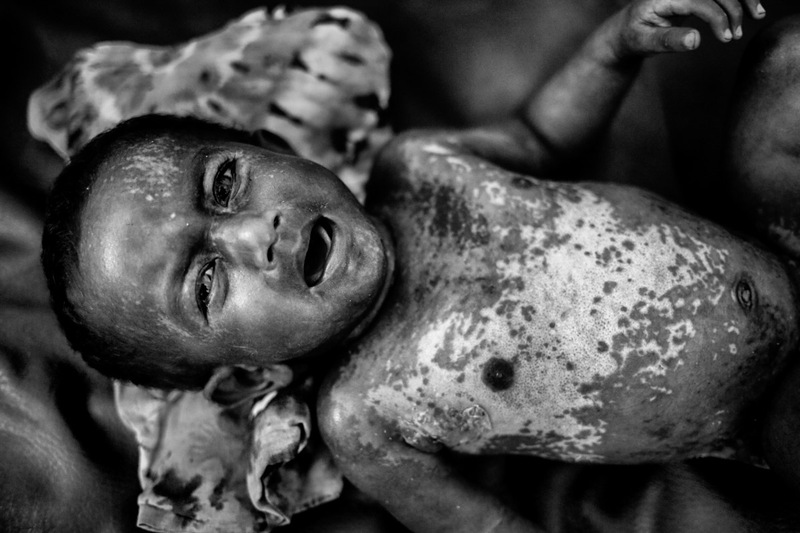 Due to the large population of Rohingya inhabiting such a small area, disease spreads easily. 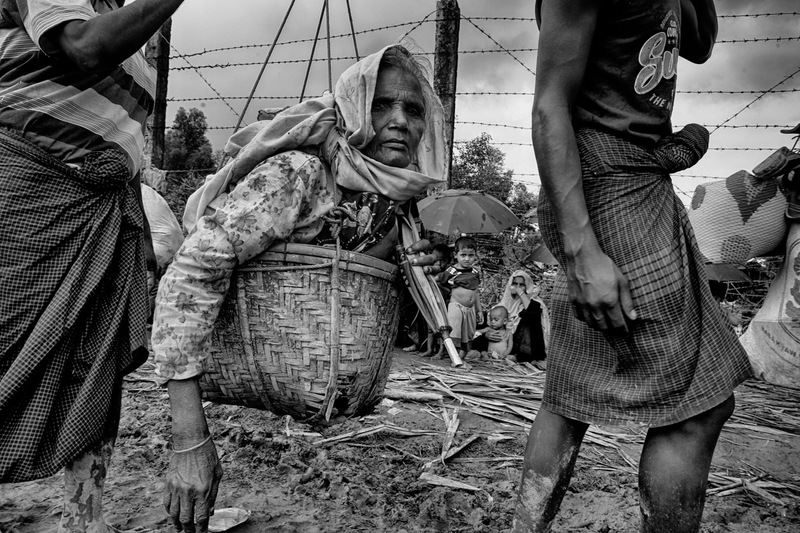 Living as a refugee in a camp and having very little help from the other people is Rohingya’s current situation. They fear that they will never be able to get back to their country, where their citizenship is denied. This tragedy period seems never ending. 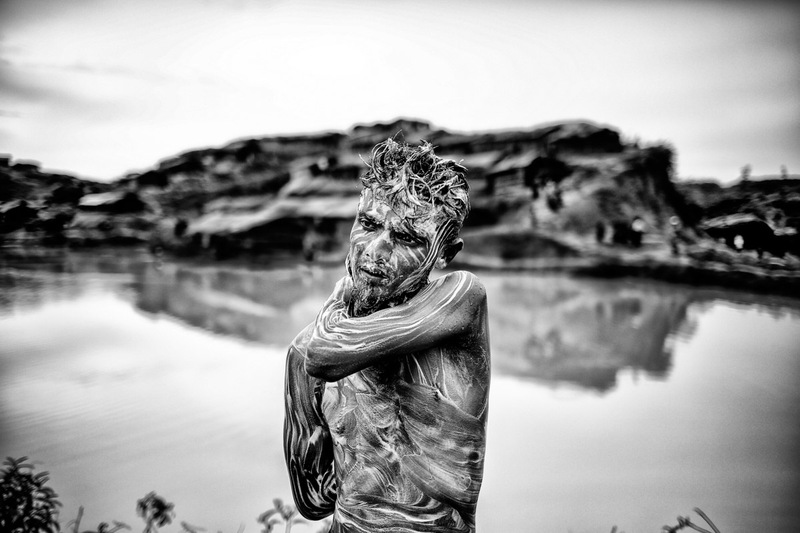 Mushfiqul Alam is an independent Bangladeshi photojournalist based in Dhaka, Bangladesh. He was born in 1996 at Narayanganj. 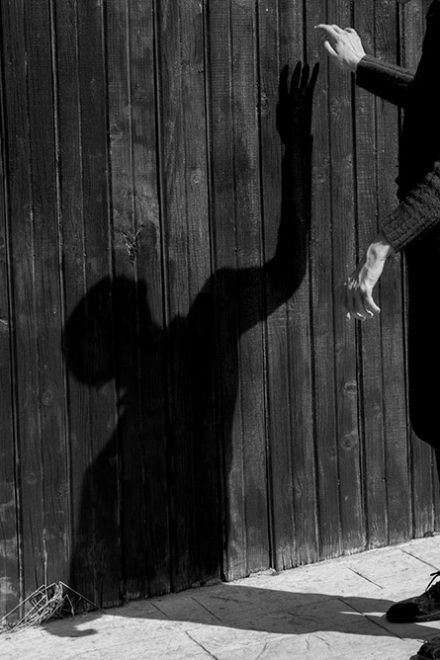 He was first introduced to photography in his childhood. 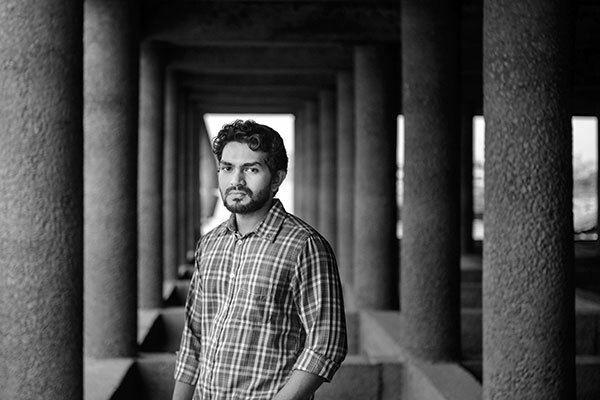 Later he started practicing documentary photography in late 2013. Mushfiq is currently completing his undergrad degree on Economics in Brac University. He generally covers sociopolitical issues and daily life. His work has appeared in The New York Times, The Guardian, The Wall Street Journal, The Huffington Post, NewsWeek, MSNbc, Yahoo news, Wired, The Quit American Magazine etc. 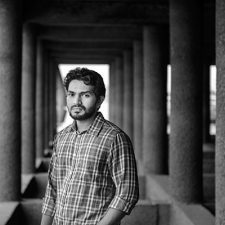 He received Special Prize by Jury in DAYS JAPAN International Photojournalism Award in 2018. He was the hourly winner of the Urban photographer of the year in 2015. He also receives honorable mentions from Black and White Spider, International Color awards and The Prix de la Photographie, Px3. Rohingya people walk through water after crossing the border into Bangladesh by boat across the naf river at, Bangladesh. Myanmar’s Rohingya Muslim ethnic minority people stretch their hands out to receive food distributed by locals at the makeshift refugee camp in Cox’s Bazar, Bangladesh. 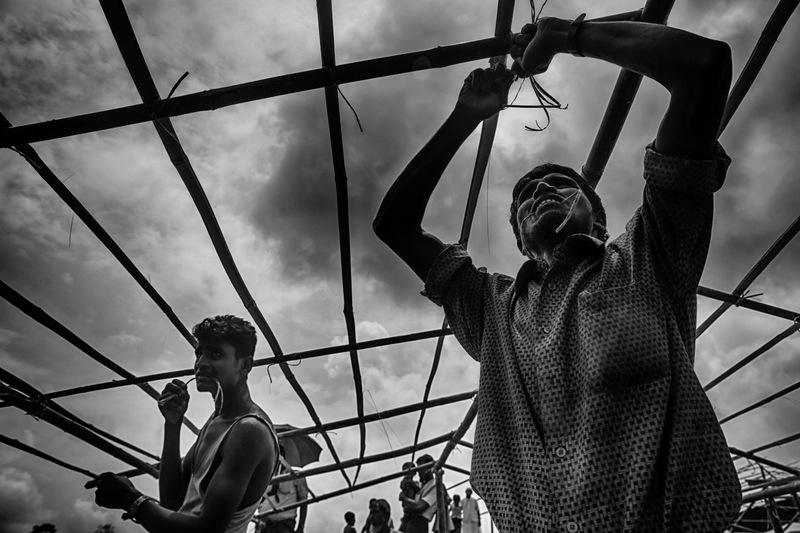 Rohingya People build temporary houses in makeshift camp in cox’s Bazar. 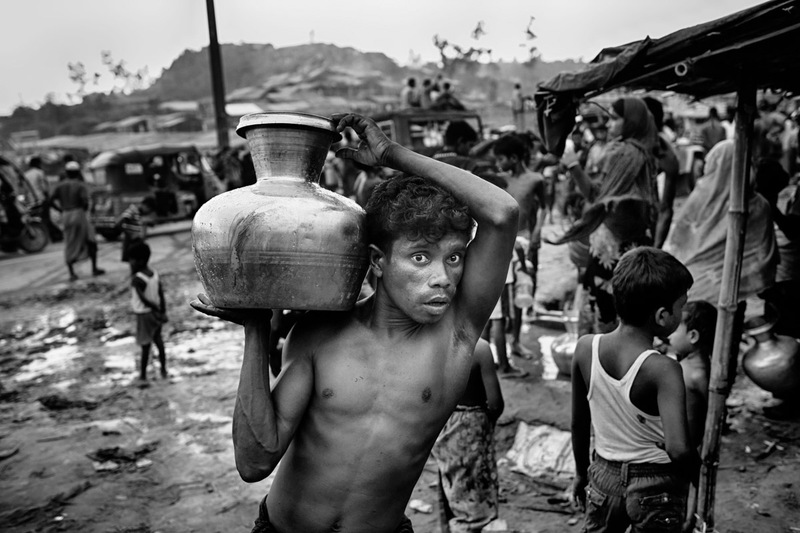 A Rohingya man carries drinking water to the makeshift camp. 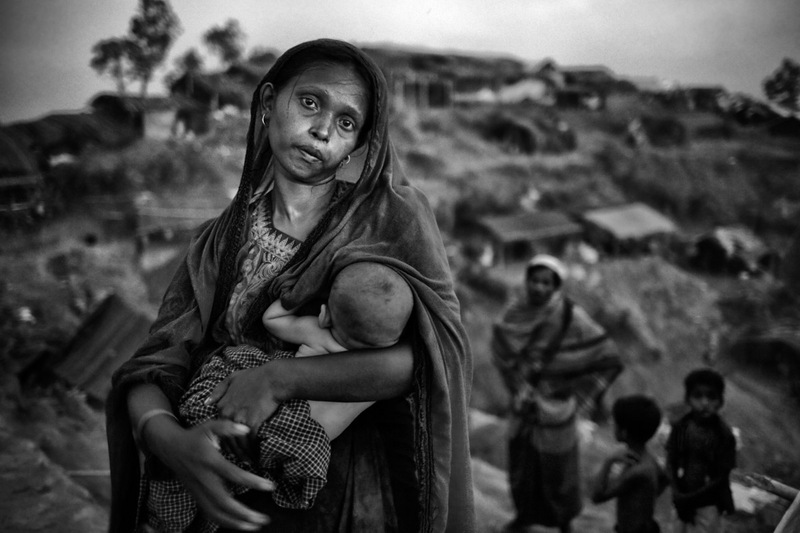 Rohingya mother and her child in a makeshift camp. She traveled for five days to reach the Bangladesh border. 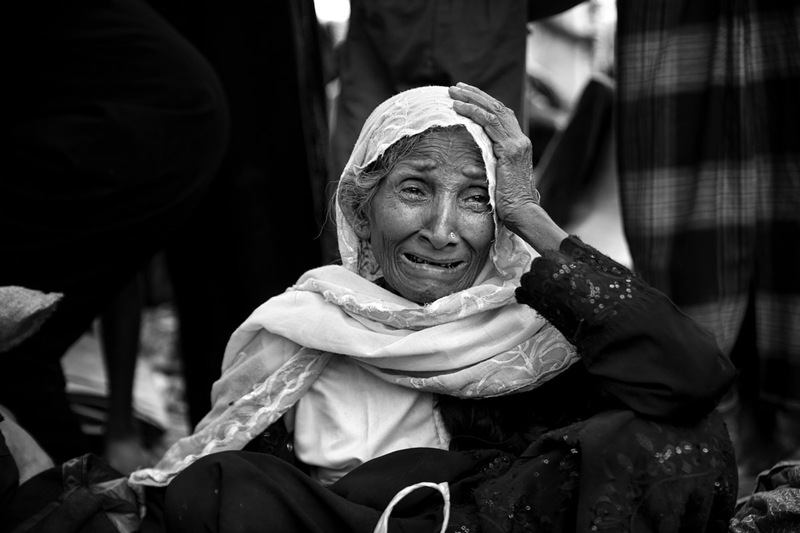 Shahnaj (40) has lost her husband during the Rohingya cleansing. 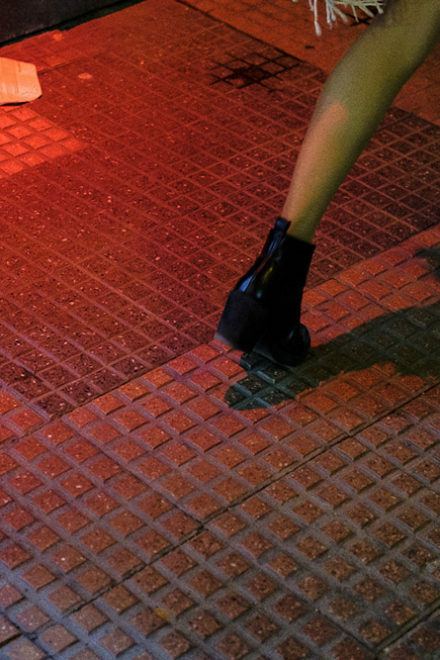 Her house was set on fire and burnt down. She was trapped inside and got injured. 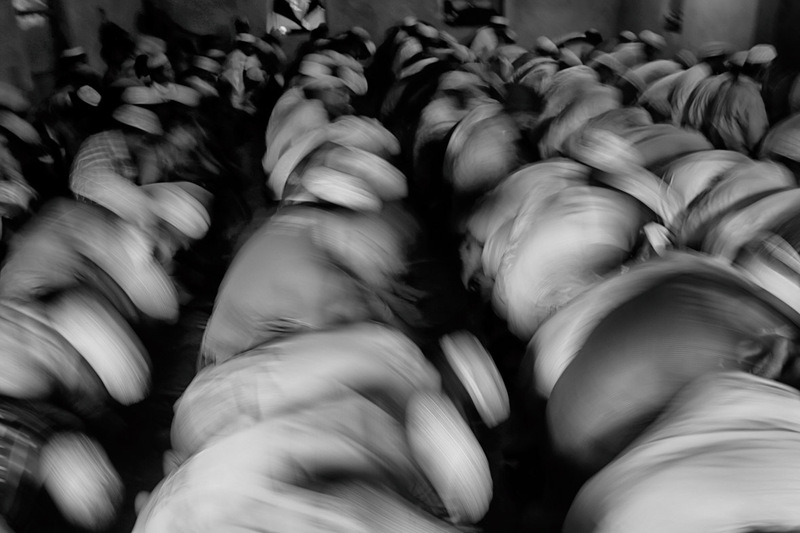 Rohingya refugees take part in Jumma prayer near the Kutupalang Makeshift Refugee camp.